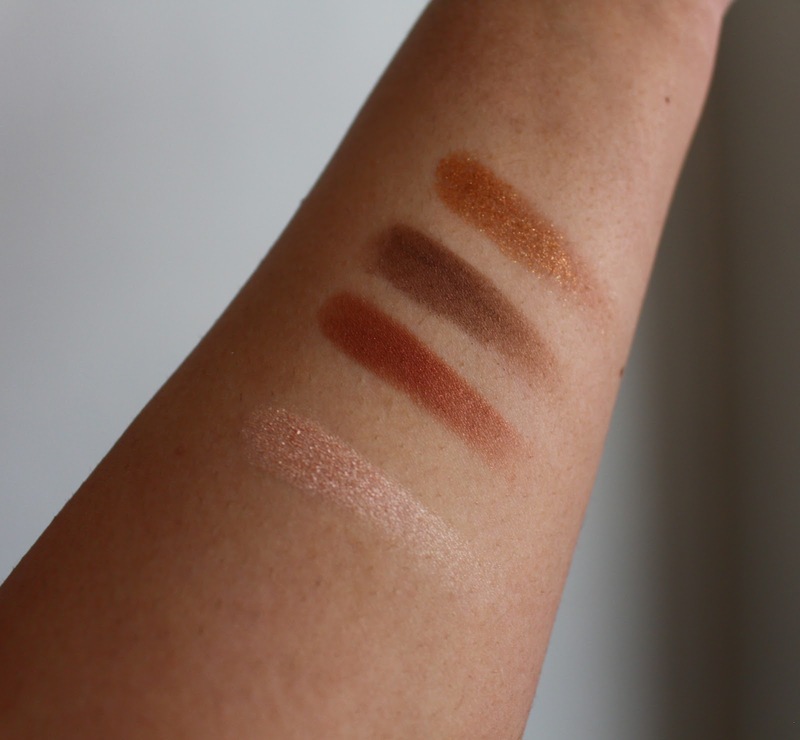 Living in Makeup: Charlotte Tilbury Dolce Vita Eyeshadow Quad: Worth the Hype? 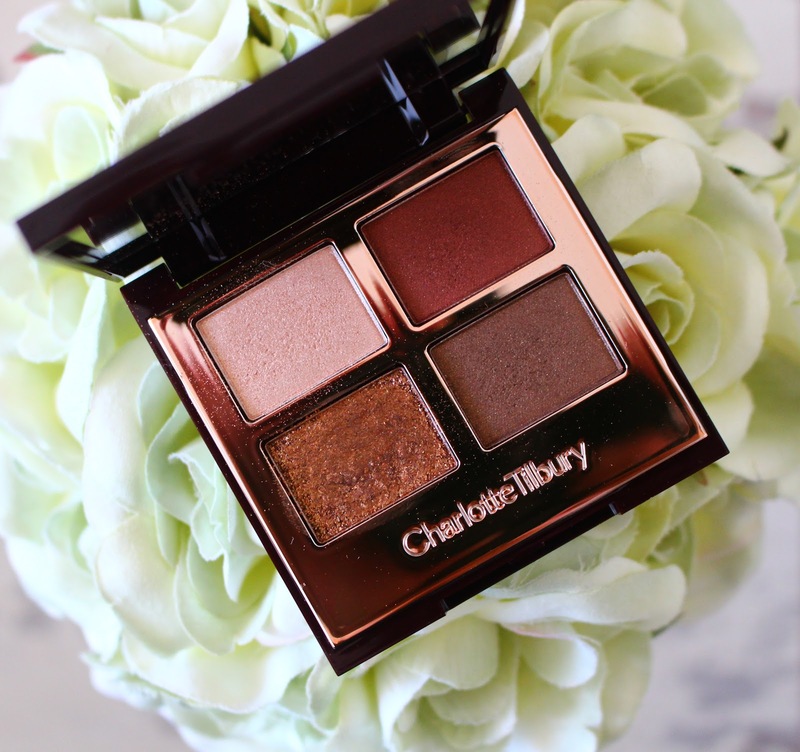 Charlotte Tilbury Dolce Vita Eyeshadow Quad: Worth the Hype? Practically every blogger I admire loves Charlotte Tilbury. I finally got my hands on some of her products so I thought why not do a Worth the Hype post! Today I'm focusing on the Dolce Vita Colour Coded Eyeshadow Quad (£38). I think it's quite clever how the shades have been separated into a Prime, Enhance, Smoke and Pop category. It makes is so easy to create a natural day look or a more dramatic evening smokey eye. In the Dolce Vita palette, the Prime shade is a soft champagne shimmer that works well all over the lid and in the inner corners. The Enhance shade is the most gorgeous rusty red that looks amazing in the crease. It's very warm and is great paired with the Prime eyeshadow. The Smoke shade is a dark bronze shimmer with subtle olive undertones which looks great in the outer corners and on the lower lash line. The Pop shade is definitely my favourite as it's a warm gold pressed glitter. I love gold glitter. All four shades are well thought out and the textures soft and smooth. I like how you can build the intensity or sheer the shadows out depending on preference. I did get a little bit of fall out, but that doesn't really bother me as I do my eyes before my base anyway. The shadows last all day on me too and the vibrancy doesn't fade. I'm so impressed with the Dolce Vita palette and think it's a great investment. There are so many quads within the Charlotte Tilbury line and I think the Dolce Vita is a great starting point as it suits everyone. It's definitely worth the hype! It's a brilliant starting point. I did the same thing, stuck to neutrals, but I'm definitely getting the Vintage Vamp!